Good afternoon darling bookworms! I know this post is coming at you a little late, but for those of you who are writers (or aspiring writers for that matter) this will be something you'll love! 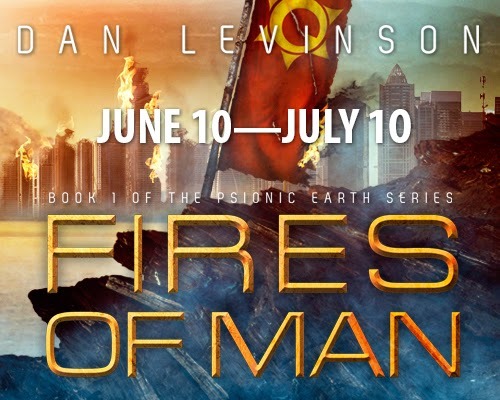 Dan Levinson is on the blog today, as he tours his new book Fires of Man. This book is filled with all kinds of Science Fiction goodness, and one I'd definitely suggest to fans of the genre! Check it out. 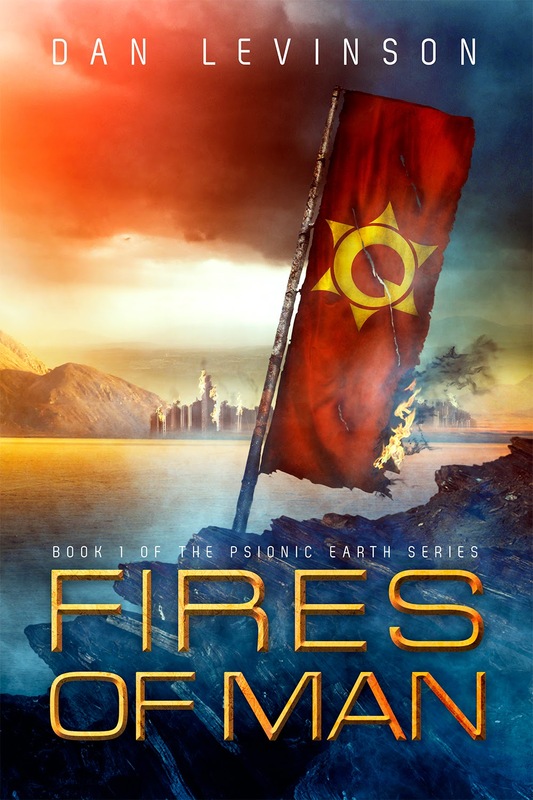 If you'd like, you can read my review for my take on Fires of Man. Otherwise, please enjoy the guest post from Dan Levinson himself that is below! It's all about chapter structure and, in my opinion, rather intriguing. A question was posed to me recently, about how one should structure chapters, how to make them feel satisfying and complete. I like to think of a chapter as a complete "movement" within the story. Between the beginning and end, there is an arc; there is motion. One trick I learned from my mentor Jake Krueger back when I studied screenwriting was "first image" and "last image." When I started writing Fires of Man, I translated this concept to fiction as "first moment" and "last moment," and used this tool to quickly envision a complete arc, a complete "movement" as soon as I began the chapter. As you continue to write and hone your instincts, you'll start to recognize what a satisfying and complete arc is. For example, say you're writing a crime thriller. At the start of a given chapter, your "first moment" is the hero running from the mysterious killer. What sort of "last moment" would make that chapter a complete movement? Would we want to end it with the hero still on the run? Nah, that's not very satisfying. There's no arc to it. Well, maybe the hero escapes safely. Being on the run, to escaping, however, doesn't feel like a full arc; it only feels like a straight arrow, a movement without a rising and falling action. He runs, he escapes. So what, then? This is where we can bring in another great tool which goes all the way back to Aristotle's "Poetics." This is the "reversal." A fundamental shift in circumstances that provides a complete movement from the "first moment" to the "last moment." Using the example of the hero and the killer, if our "first moment" is the hero running from the killer, the natural "last moment" that might emerge from a significant reversal is the killer being apprehended by the hero. The first moment, the hero running, and the last, the killer being apprehended, actually have multiple reversals. There's the reversal of literal physical movement, high-octane action, to a moment of pause and relief when the action ends. There's the reversal of circumstances, from the hero being the one at risk, to the killer being at his mercy. There's the reversal of the hero's mentality, from the drive to catch this killer, to the thought of what comes next: the trial, accolades, or perhaps thoughts of taking revenge on the killer, murdering him in cold blood (thus providing another reversal, of the hero becoming a killer himself!). Now, were we to decide the hero arrests the killer, and the "first moment" of the next chapter is the killer being brought in, then unless this is the end of the book (or even if it is! ), the "last moment" of the next chapter should be the killer's escape, or some other unexpected reversal that improves the killer's position. In addition to the "reversal," Aristotle also talks about the "recognition." What if the hero unmasks the killer and it's someone he knows? His partner on the force? His brother? That, of course, carries reversals with it as well, but can function as the primary "last moment." That is, if the "first moment" is the hero on the run from a killer whose identity is unknown, the "last moment" could be the reveal, the "recognition" moment, where the hero discovers the killer's identity (though, of course, the whole chase scene should still come to an end somehow). If you play around with these elements—first and last moment; complete arc or movement; reversal; and recognition—you'll soon start to get the hang of it. Dan Levinson is a Long Island-based fiction writer and librettist. His fiction works include the YA fantasy novel, The Ace of Kings, and the horror novella Bright Orchards. His debut novel, the sci-fi war drama Psionic Earth, is due out Spring 2014 from Jolly Fish Press. He is contracted for two sequels to be released in the following years. 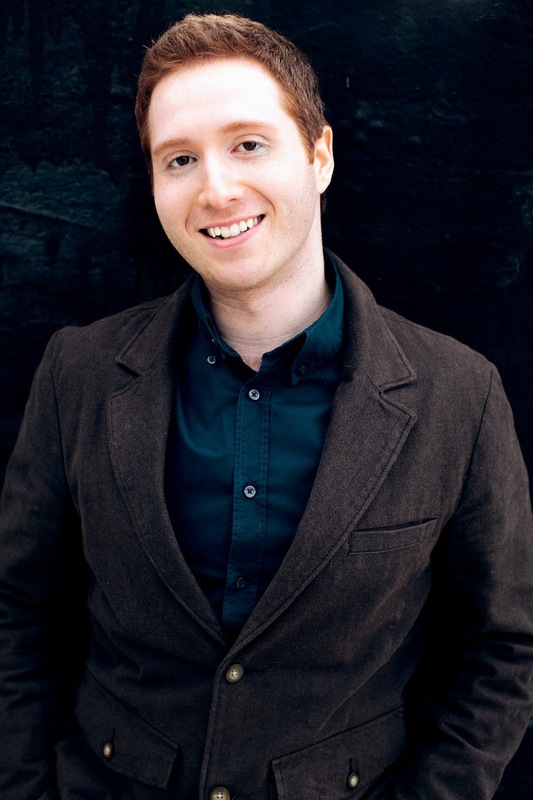 His musical, Bathory, a historical look at the political machinations behind the story of the "Blood Countess," was co-written with his brother, composer/lyricist David Levinson, and was a NYMF finalist in 2009. Dan has studied with authors Irini Spanidou and John Reed, playwright Daniel Goldfarb, and screenwriter Jacob Krueger, among others. He is a member of the Paragraph NY writer’s workspace, and can frequently be seen attending their monthly events. He graduated from NYU with a BFA in 2007. Dan has fibromyalgia, a condition characterized by body pain that is believed to be due to overactive nerves. Nevertheless, he lives a very active life. He hopes that one day he will have a platform where he can bring about greater awareness for this condition, and encourage more research to be done into its cause and potential long-term solutions. He currently resides on Long Island with his family, his Cavalier King Charles Spaniel named Stealer, and Sheila the tail-wagging tabby cat.